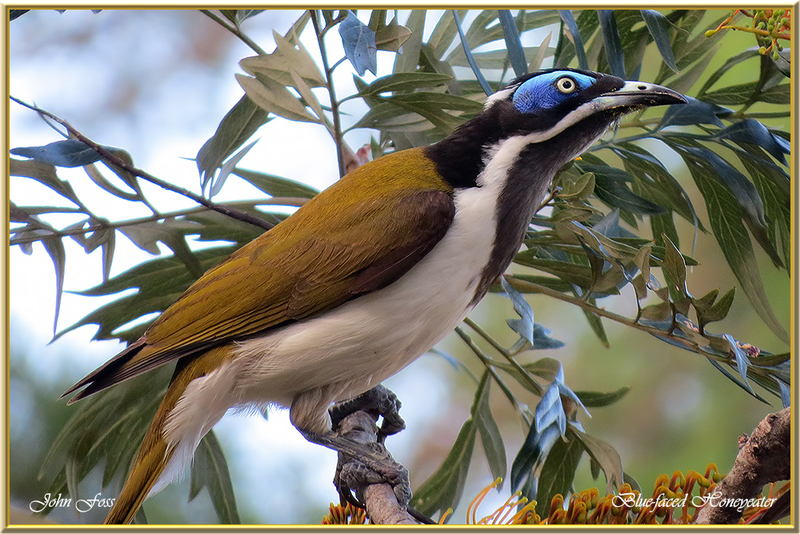 Blue-faced Honeyeater - this large honeyeater is distinctive with it's blue eye patches. Both males and females have this blue skin area whereas in juveniles the skin is a yellow-green as seen in these photographs. 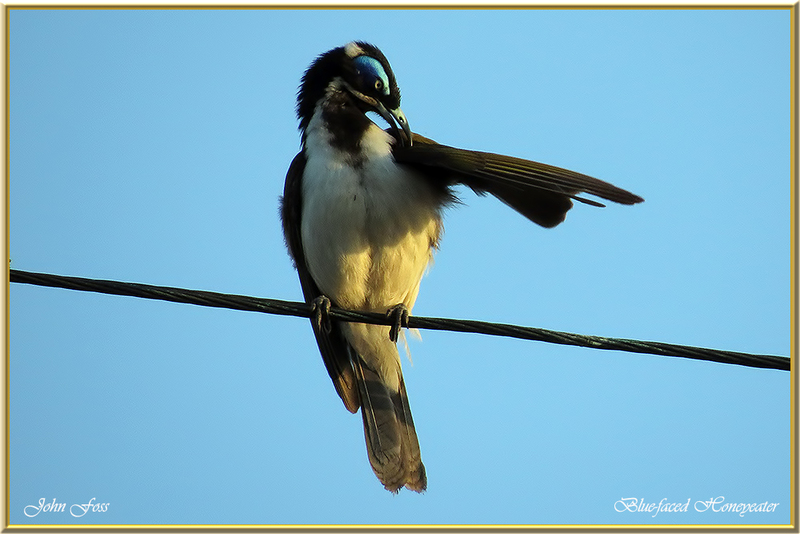 Common in eastern Australia where I photographed these gorgeous birds. They frequent rainforests, mangroves, parks, gardens and thickets. They tend to forage in trees in search of insects with the remainder of the diet being nectar, pollen and berries. 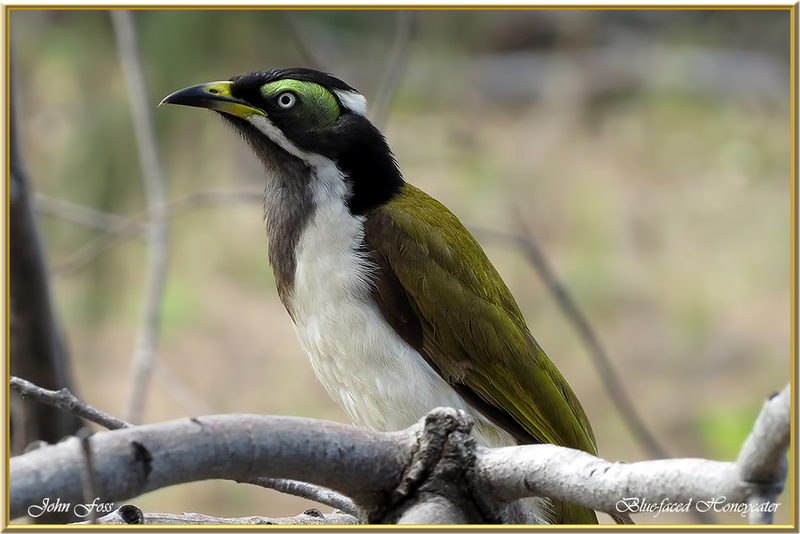 I observed these birds in several areas around Bundaberg Queensland Australia.